Peaches and Paprika: National Relaxation Day: Ideal for Cats! National Relaxation Day! Ideal for Cats! Need we say more...? This beautiful frame is from Imikimi. What are YOUR plans for Relaxation Day? Paprika is looking mighty relaxed and I love that frame. 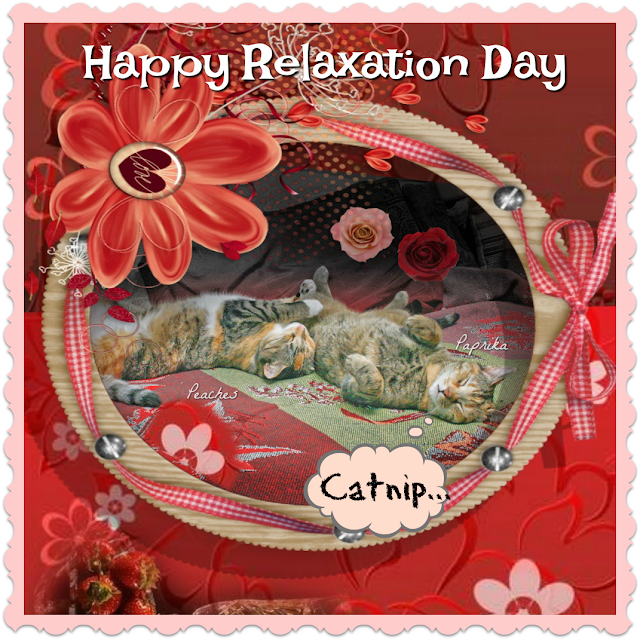 For us, relaxation day is every day! You are experts in the art of relaxation. Aw they've sure got the right idea!